New York Unified Communications Solutions | Cloud Hosted UC : Consolidated Technologies, Inc. Businesses are deluged with technology solutions that promise to simplify work and boost productivity. Instead, the opposite usually occurs and busy solution managers can’t find a clear path forward. CTI is different. Our thorough understanding of network infrastructure helps us hone in on a critical step that others often miss. We take the time to learn your network, culture and needs so you can have confidence that the unified communication solutions we recommend really will deliver what you demand. 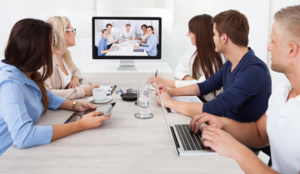 CTI’s unified communication solutions are seamlessly integrated and productivity focused. Being vendor agnostic helps us offer you the best solution for your unique needs and goals. We support open standards and robust interfaces with third-party products, for lower costs and improved flexibility. Unified communications solutions from CTI support integration from today’s leading providers of communication tools and customer management platforms, such as IBM, Lotus, Avaya, Adobe and Microsoft. We have NYC-based UC solutions teams ready to assist you with the integration and interoperability your business needs to keep existing software and grow to support new customers. Boost your business through a smarter set of UC solutions from one of New York’s top unified communications providers, Consolidated Technologies, Inc. Present your employees with a rich array of communication tools that work across instant messaging, conferencing, unified messaging, mobility support and much more. CTI allows your team to share everything they need from contacts and documents to their availability status. CTI’s UC services support a broad range of conferencing technology your business already turns to each day. Whether you’re dialing in to a phone conference to keep projects running smoothly, want a video conference to demo your solution to clients, or need both options for those larger internal meetings, we offer a complete solution designed to bring your tools to life. Get a cost-effective solution for your video and voice needs in a smart, unified packaged with reliable UC tools that we prove in the field each and every day. CTI’s unified communications solutions for NYC and nearby businesses is designed so your team can use as many of today’s devices as possible to get their work done. Our mobility development tools bring hosted UC services to your team as they travel around New York and beyond, whether in the office or on the road. Mobility requires security, so CTI provides a total cyber-security solution designed to work hand-in-hand with the BYOD best practices you already employ. CTI also offers Unified Communications services for New York firms with satellite locations in neighboring states, as well as those of you with satellite branches throughout Manhattan, up-state New York and anywhere in the world. We’ll build a unified communications solution that brings together your mobility and staff communication with a modern contact center that ensures customers get the right agent each time. From call recording for training to accounting to better help your relationship management, we’ve got a solution for you. Ask us about a distributed IP contact center that will consolidate your servers and hardware to save you money without reducing service. Your custom solution will pool your resources and apply advanced logic to make your contact center more intelligent and better able to handle each customer request. Many locations, one solution and satisfied customers is what UC services from NYC’s CTI can offer to your business, starting today. Browse our solution areas and discover a technology partner committed to your success.